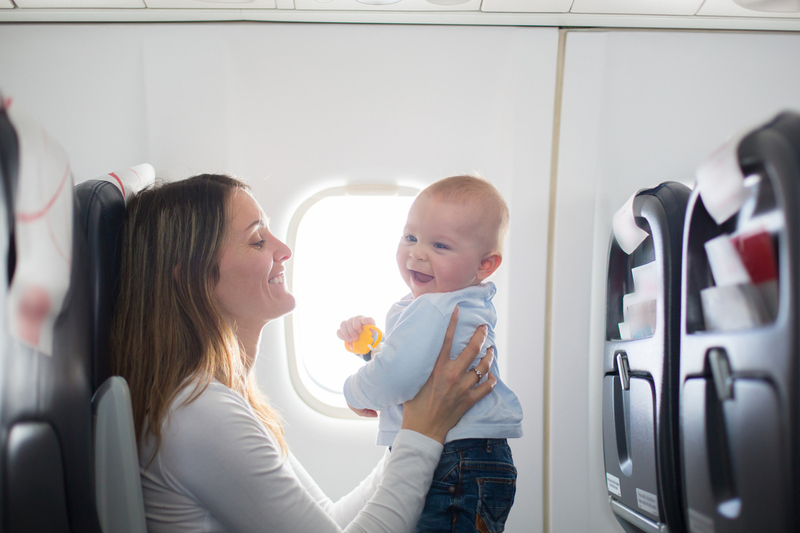 Bringing home a new baby is an exciting and sometimes daunting experience for new parents. In the months leading up to the arrival of your newborn, you’ll probably spend hours researching and purchasing a range of products for your upcoming arrival. Buying or registering for the best crib mattress is essential for your baby, and it is one of the most important decisions, too. With your little one sleeping intermittently for up to 18 hours a day, you’ll want to select a high-quality baby mattress for a supportive yet comfortable sleeping surface from infancy through toddlerhood. Buy GREENGUARD Gold Certified: When researching crib mattresses, be sure to look for the GREENGUARD Gold certification to ensure you are bringing home the very best for your baby. Infant and toddler mattresses that are GREENGUARD Gold Certified have undergone extensive 3rd party laboratory testing and pass a strict standard for low chemical emission and indoor air quality to help provide a healthy nursery and sleeping environment for your little one. 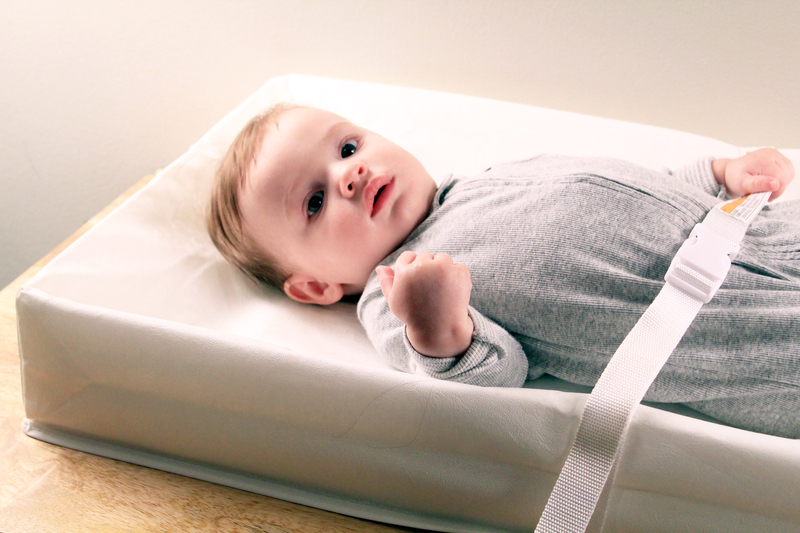 Higher coil count: A firm sleeping surface is essential for infant safety in the nursery. When comparing innerspring crib mattresses, look for one with a high coil count for an ultra-firm, supportive sleeping surface for your little one. The higher the coil count, the firmer the mattress, and because coils are heat-tempered and made of durable steel, innerspring crib mattresses are built to last. For additional protection, upgrade to a baby mattress with a perimeter border wire and EverEdge strength pillars for side, corner and edge support. Extra layers for more support: Additional layers of cushioning help provide long-lasting support and comfort for infants and toddlers. 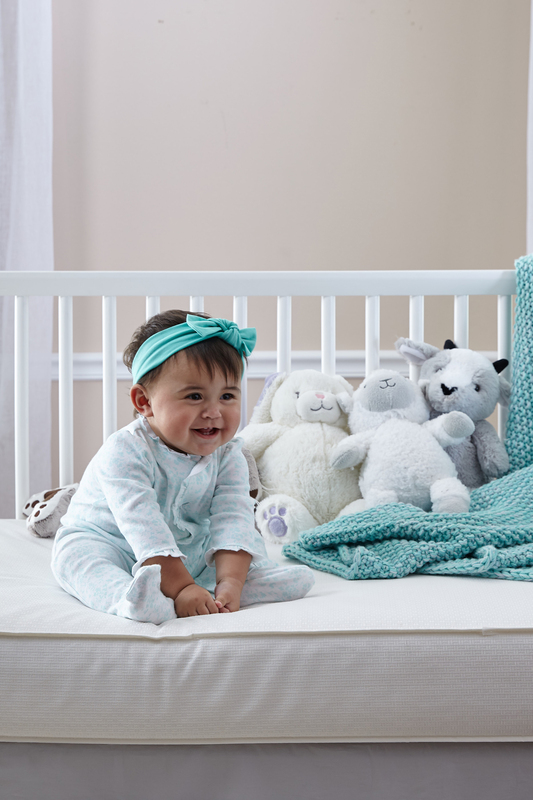 Airy layers flex under baby’s body weight, cotton cushioning provides more plush comfort, and premium soybean memory foam creates a luxurious sleeping surface that responds to a growing child’s body. Lightweight, supportive foam: Crib mattresses designed with a foam core absorbs a child’s movement, helping to create a firm and supportive sleeping surface for infants and toddlers alike – look for one with high-density foam for extra firmness. Plus, the lightweight design of a foam mattress makes changing baby’s crib mattress pads, sheets, and bedding a breeze. For extra comfort and cushioning for toddlers, upgrade to a mattress with an additional layer of memory foam, enhanced with natural, renewable soybeans. Look for American-made GREENGUARD® GOLD and CertiPUR-US® Certified foams. These foams are tested for air quality, durability and chemicals so you can feel more confident your child’s foam mattress is made with materials designed for safe use with babies. 2-Stage for extended use: Your baby’s crib mattress can take them from infancy to toddlerhood, for many years of restful sleep. A 2-sided crib and toddler bed mattress provides firmness, support, and cozy comfort that grows with your baby. These 2-stage or ‘2-in-1’ crib mattresses offer premium, dual-stage firmness, with a firmer side for newborns and infants — as recommended by pediatricians — and a softer, yet still supportive side to keep toddlers comfortable. Waterproof protection: A fresh, clean sleeping surface for baby is critical for a healthy nursery, and a waterproof baby mattress is essential. A mattress with a waterproof barrier will allow for easy cleanups — a must-have for busy and tired parents. Lock-stitched waterproof binding helps prevents liquids and moisture from seeping inside the mattress core to prevent mold, mildew and odor for a more sanitary environment for your little sleeper, so look for this added feature, too. Ensure a snug fit: Baby’s mattress should fit securely and snuggly in the crib or toddler bed for safety. If you are using a USA standard full-size crib mattress, it’s important to measure the interior dimensions of your crib to ensure a good crib mattress fit. The inside of baby’s crib should measure between 27 3/8 to 28 5/8 inches wide and between 51 3/4 to 53 inches long for a proper fit of USA standard full-size baby mattress. Crib mattresses that meet the latest ASTM crib mattress standard have been fit tested. Do your research and you’ll find the perfect mattress for your little one in no time. For more detailed information, check out the comprehensive Sealy Crib Mattress Buying Guide.